The Stephen Hickox home has been a landmark situated high on Bee Hill since c.1799. 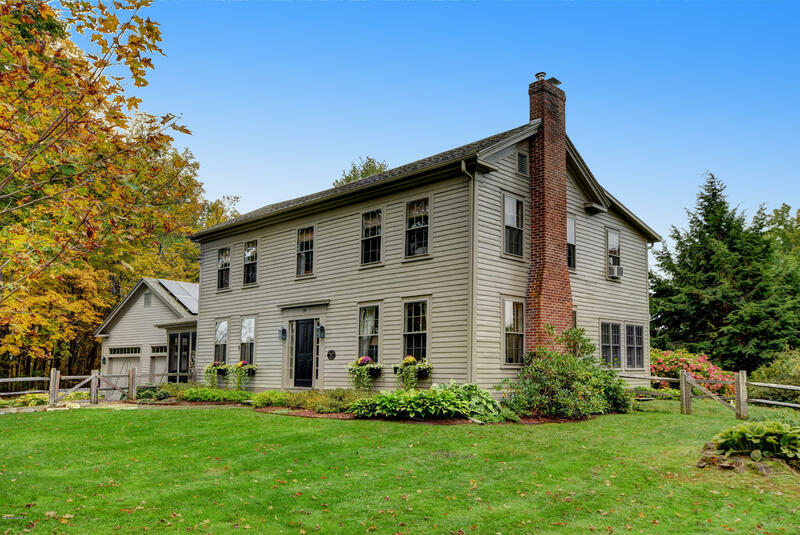 This house has the charm of yesteryear yet the modern amenities of today, impeccably and tastefully redesigned. You are reminded of the past as you enter the front foyer with the original staircase leading up. The wide chestnut floors and interior doors still displaying their original hardware recalling this homes historic past. Relax in your 3 season sunroom right off your fully equipped kitchen with soapstone counters and enjoy the pastoral views. You pause as you enter the fire-placed living room as you look through to the family room viewing the acres of protected land that surround you. The 3 bedrooms are light filled due to the myriad of 6 over 6 windows. Rich in history and spectacular, a must see!